The site where Columbus landed. There is evidence suggesting that St. Croix was inhabited by the Ingrei people as early as 2500 BC. They were followed by the Taino and Arawak peoples who were in turn displaced by the Carib Indians in the 14th Century. Christopher Columbus is credited as being the first European to come to St. Croix, which he named "Santa Cruz." During his second voyage to the New World in 1493, his fleet of 17 ships landed near the Salt River in hopes of finding fresh water. Not only did they not find fresh water but the landing party was attacked by Caribs, who succeeded in driving off the Europeans. Subsequently, the Caribs came to an understanding with the Spanish on neighboring Puerto Rico under which the two groups co-existed. This eventually fell apart and the Caribs aided the Tainos on Puerto Rico in an uprising against the Spanish. The Spanish put down the uprising and ordered the extermination of the Caribs. This led the Caribs to permanently abandon St. Croix. Although Spain claimed the island, it made no attempt to establish a settlement. As a result, the first European settlements were built by the English and the Dutch in the 1620s. At first, the two settlements co-existed peacefully but then the Dutch governor killed the English governor and the English retaliated. This led to a series of battles for the island with the Dutch eventually deciding to withdraw. However, in 1650, Spain decided to assert its claim and violently evicted the British. The Spanish did not stay long on the island. Seeing a power vacuum, first the Dutch and then the French tried to occupy St. Croix. The French sent two ships and succeeded in establishing a settlement in 1651. However, disease devastated the colony. Ten years later, Philippe de Poincy, who was governor of St. Kitts and also an official of the Knights of Malta bought the island for the Knights. He brought in 300 planters from St. Kitts but was unable to make a profit. He sold it to the French West Indies Company, which at first was successful growing sugar, cotton, tobacco and indigo. But with bad administration, the colony began to decline. Eventually, the island came under the French crown again. But by 1695, nearly all of the French settlers had left the island. Next to arrive was the Danish West Indies Company , which purchased the island from France in 1733. The company in turn sold the island to the Danish crown some two decades later. 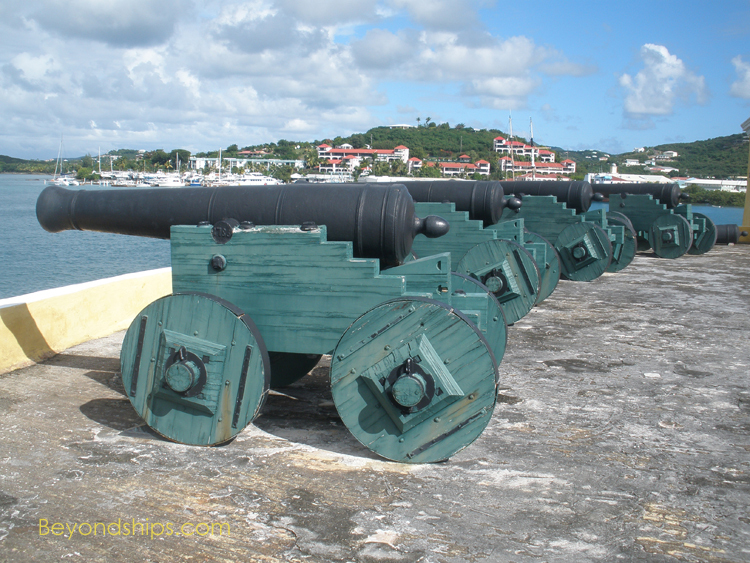 Christiansted was made the capital of the Danish Virgin Islands and remained so until 1871 when it was moved to Charlotte Amalie on St. Thomas. The Danes allowed immigration from other European countries and soon there were significant populations of English, Spanish Sephardic Jews, and French Huguenot settlers. The Danes managed to succeed where the other European powers had failed but only by unfortunate means. African slaves were imported to work the plantations. This soon resulted in the profitable export of sugar, molasses, rum, cotton and hard woods. Denmark made it illegal to import slaves in 1803. Racial segregation was banned in 1834. However, it was not until thousands of slaves descended upon Frederiksted in July 1848 demanding freedom that the Danish Governor General Peter Von Scholten proclaimed emancipation of the slaves throughout the Danish West Indies. The sugar cane industry had been deteriorating ever since the 1820s when a viable means of making sugar from beets was discovered. Without slave labor to support it, the sugar cane industry on St. Croix went into decline. As the islands were no longer profitable, Denmark offered to sell its islands to the United States for $5 million. However, the two countries failed to reach a deal. Seeing the strategic significance of the Danish islands in protecting the Panama Canal, the United States re-opened negotiations after the outbreak of World War I. Denmark also realized the value of its property had gone up and so it agreed to sell them for $25 million. Consequently, St. Croix became a United States territory in 1917. During the 20th Century, there were waves of immigration from Puerto Rico and other Caribbean islands. In 1966, a large oil refinery was built on the island, giving a much needed boost to the economy. An alumina plant also operated on St. Croix from the 1960s until 2000. At the same time, tourism grew to be an important part of the economy.